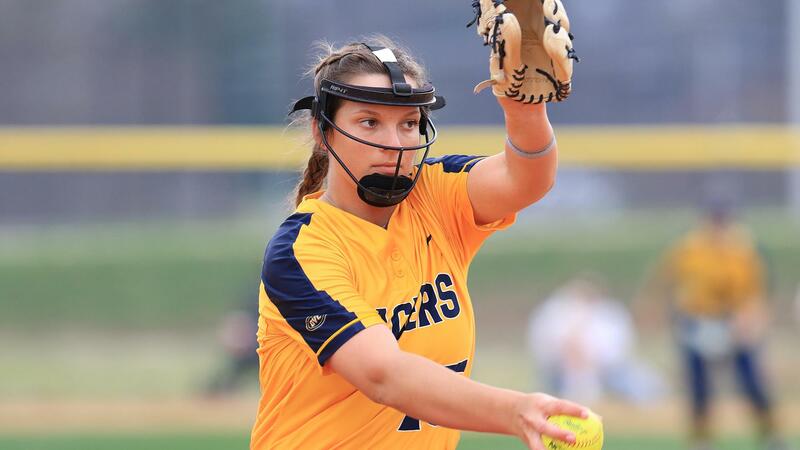 Freshman Hannah James threw a perfect game for the Racers as they beat Belmont 1-0 in the first game of a doubleheader at Racer Field yesterday. James struck out five in the seven inning game. Sierra Gilmore put the Racers on the board in the home half of the fourth after she sent a one-out pitch sailing over the fence in right center. Her fourth home run of the year gave Murray State a 1-0 lead through the end of four innings of action. The Racers beat Belmont in the second game 3-0. Taylor Makowsky pitched six scoreless innings and James pitched a scoreless seventh inning to pick up the save. Murray State took a 1-0 lead on a squeeze play by Gilmore that scored Jensen Striegel in the fourth inning. Gilmore and Lillie Goetz both scored in the sixth on singles by Lexi Jones and Lindsey Carroll. The Racers are now 5-1 in conference play and 15-17 overall. They return to action tomorrow at Southern Illinois.